Andrew Bridgen MP has called Nigel Farage’s new Brexit party a “Damocles sword hanging over the future of the Conservative Party”. Asked by Julia Hartley-Brewer on the talkRADIO breakfast show if Mr Farage forming a new party was a threat, he said: “Of course, and I’m sure Nigel Farage wants it to be a threat. Theresa May is set to hold a debate on Brexit on February 14, which will come after a statement the day before, where she’ll update parliament on her progress seeking changes to the Brexit deal. The sticking point for many Brexiteers like Mr Bridgen is the backstop, which would keep the UK and Northern Ireland in a customs union with the EU. “I am willing to compromise, I’m willing to look at the Malthouse compromise… but what I can’t take is the backstop,” he said. 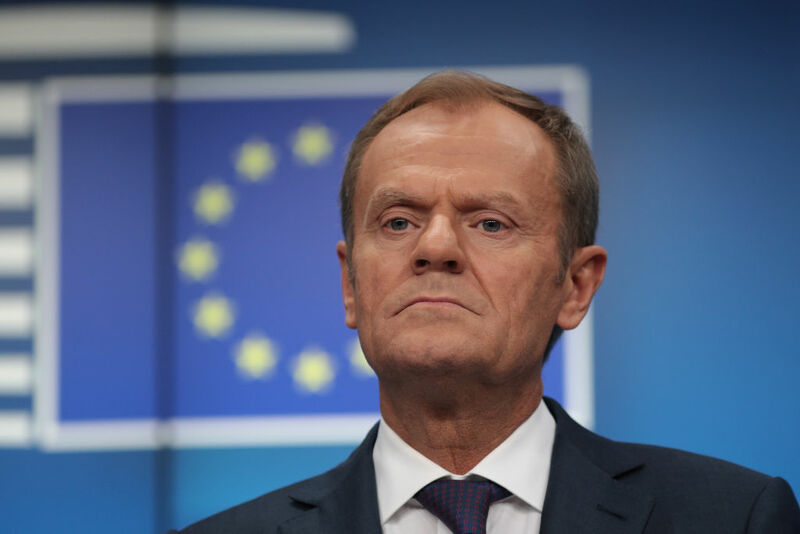 He referenced European Council president Donald Tusk’s remarks last week about there being a “special place in hell” for Brexiteers who promoted leaving the EU without a plan, but said the root of the unrest is the backstop. “The frustration we saw from Donald Tusk last week about the frustration we saw from Brexiteers, is because they’ve [the EU] now given up on the people’s vote, they know they won’t get it, and if they had it more people would vote to leave given the appalling way they’ve treated us during these negotiations,” Mr Bridgen said. He added that he did not expect Mrs May to have made any “progress” by February 13, and instead expected that she would ask for “another two weeks”. “That’s fine, it runs the clock down and we get to the eleventh hour and that puts more pressure on the EU,” he said. “What I believe we’ll get on the 14th is another amendable motion saying we’re going to come back in a fortnight, that will be hijacked again with the help of the Speaker, by Yvette Cooper.